Perfect landscapes with a complementary offer of an eclectic mix of nature, culture and history and a hint of friendliness in every face, well do you need anything more to make your vacation more romantic. Hmm, just add long walks on clean, decked up footpaths and manicured lawns alongside a lake, a ride through gushing cascades, babbling brooks, green hills, gorgeous dales all flaunting the munificence of Mother Nature and a lovely feeling of walking among the clouds. And now if I have got you thinking, then add to the list some ‘unforgettable’ shopping and culinary experience. This is Shillong for you, an orchestra of myriads scents, sights, sounds with a hint of unique culture, undiminished openness and love and music floating in the air. Popularly known as ‘Barapani’ Umiam lake is a famous spot for angling. And breaking all ground rules of travel in India, the best way to savor Shillong is to walk, walk and walk, without being worried about pollution, sun or rash drivers. It is perhaps, one of the nicest places I have seen for a leisurely walk. From the center point or the Police Bazaar, a leisurely morning walk on Camel back’s road takes you through the colonial past of the city towards the Ward’s lake and then to shady streets of Oakwood, where the old colonial buildings play the charmer. Scene of valley from outside Shillong en route to Cherrapunji. Walks in Shillong are idyllic and therapeutic and as the sun starts making its way through the tall trees of Shillong, start preparing yourself for some great morning cha (tea). And with it you can have some samosa and dahi-jalebi, in the famous Dilli Mishthan Bhandar in Police Bazaar or walk some strides to savor momos in Bara Bazaar. And while you are looking around for food, keep your eyes fixed on the shops and never kill your temptation of shopping some great stuff in Gori Plaza for most fashionable clothes and ‘Khasi jute emporium’ for jute items. And then Bara Bazaar, home of ethnic products ranging from forest honey, spices and some local delicacies. And, as I always say, the greatest of experiences are chanced upon, while curiously peering through unknown neighbourhoods. Shillong is known for the adrenaline thud it offers. The first stop is for waterfall hopping in Elephant falls or in Spread Eagle falls. 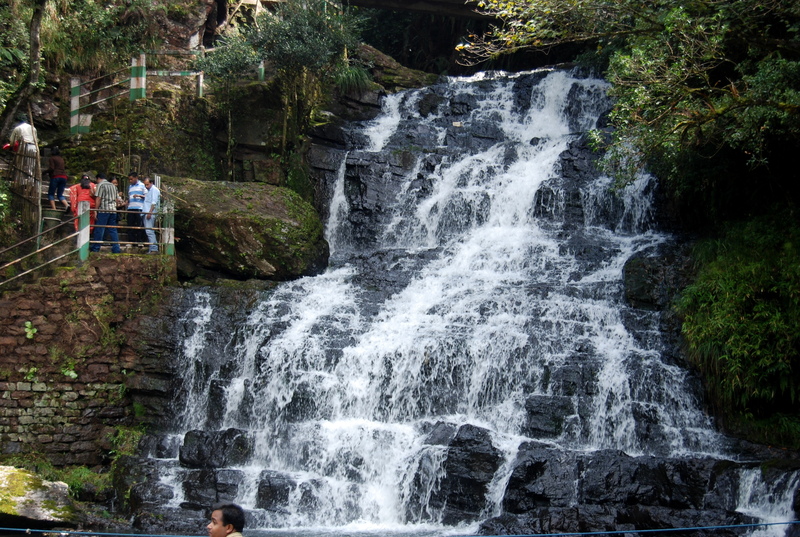 And there’s always more to add, rafting in River Ranikor or Lake Umiam, treks along the 10-12 waterfalls located at a comfortable distance from the city, horse riding in Shillong peak to catch some magnificent views on offer and visit the deity “Leishyllong”-the Superpower on whose name Shillong is named and exploring the Krem Mawsmai, Krem Mamluh, and Krem Umshyrpi caves to unravel the dark secrets of evolution they nurse. And if you are really not a thrillophile, and wish some ‘be together with nature’ moments, take a bicycle on hire and set off for an amazing cycling trek of 30 Kms to Mawphlang. The view of the rolling hills of pine trees and pineapple shrubs will make you take regular halts to sip in the moment. Whatever you decide to do in the afternoon, keep the evening reserved for a quixotic boat ride in Lake Urium or Barapani, the stunning Loch ness like reservoir which helped Shillong earn the sobriquet ‘Scotland of the East’. The lake also has a distinction of being the first hydel power project in North East. With pine clad hills on one side and the national highway on the other, Umiam Lake has a great sight to offer to the boaters. And wonder what! A few strides more and you can be off from boating to angling. There are many spots in Meghalaya for angling but when the Uriam Lake is choked with fishes, why bother to go that far. Umiam Lake captured from one of the three bridges that need to be crossed to reach Shillong. And even now if you think you haven’t had enough in Shillong, what about a nice dinner with some music and a starry night. Well Shillong has many options for those who think something called a ‘perfect eat-out’ exists. Set off to cloud 9, Tango Pub or Shillong café for some roll and rocking. Shillong is one of the places where the concept of resto-lounge is quite popular, so a meal of exotic music, scrumptious food and invigorating dance is to be looked for. And besides food, try to attend some ‘rock concert’, Shillong gives a good competition to Imphal, the official ‘Rock Capital’ of India. But wherever you are, try to walk down to your hotel and remember to look at the clear sky; you might never find that in your urban clusters. And don’t make your holiday a complete ‘eat, enjoy, repeat’ thing, find some time for the famous Don Bosco and Butterfly museum. Located towards the outskirts of the city, Don Bosco Museum is a travel through the ages’ thing, a museum dedicated to the indigenous traditions of states of North East. No doubt, it’s a mirror to this unexplored world, a crucible of art, culture and history. And a walk on the Museum’s Sky walk offers exciting and exhilarating views of the city. Now a man’s thing, a ride of another 20 minutes and you will be at the second biggest Golf course of Asia. 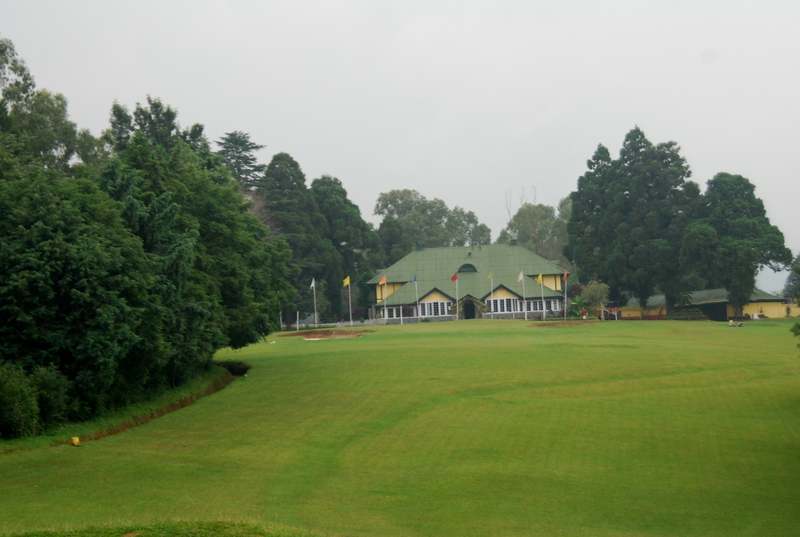 With lush green hills as the backdrop and Rhododendrons enhancing the splendor of the meadows, the Shillong Golf Course is a place to try a hand at encompassing one of the longest trying holes in the world. Mind you, it’s quite a fun and guarantees an air of manly pride. Second biggest Golf course of Asia. 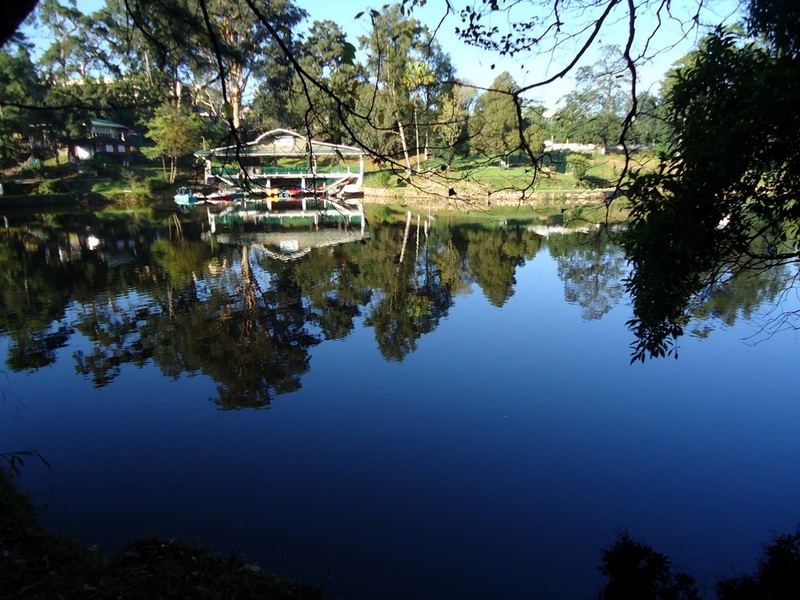 To be candid, Shillong’s beauty and more, novelty is difficult to be captured in a travelogue. One can go writing, but will still feel short of words. 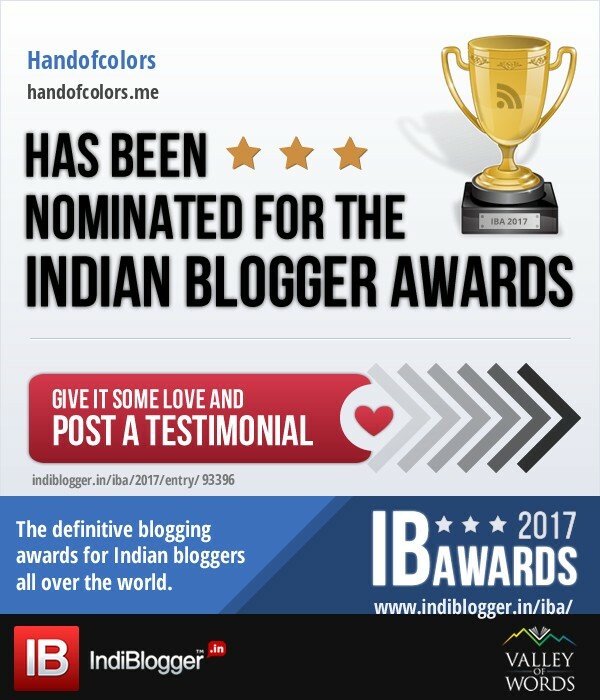 It is about moments to be captured, shots to be clicked and framed on walls as prizes, experiences worth making you feel longer to find something more exhilarating than that and expressions that demand no words. Out of urban cacophony, an irony we call urban life; there is Shillong – a pine city, a city where time halts for you to catch up with its race and sashes down the valley with you as memories. 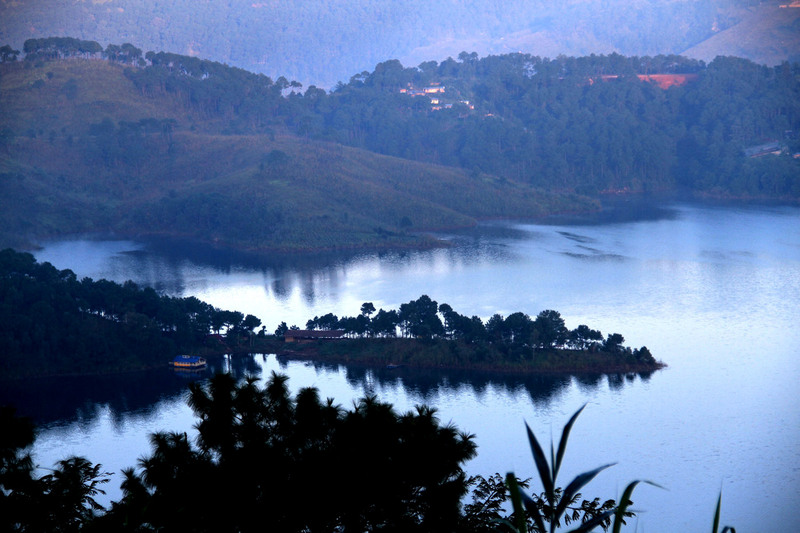 To reach – The easiest way to reach Shillong is via Guwahati. Shillong is at a comfortable 3 hours from Guwahati and one can hire a cab (costing around INR 1500) or take a shared taxi (around INR 300 a person) from Guwahati to Shillong. The highway leading to Shillong is quite a nice drive but do halt for a pineapple treat on the way. As one reaches Shillong, one needs to cross three bridges over Lake Uriam or Barapani and the road runs alongside the lake. In Monsoons the sight of the lake from the bridges, can itself make you extend your stay. Shillong also has an airport and a connecting flight from Kolkata can be taken to reach Shillong. However, a word of caution, since it is not a very busy route, sometimes flights are cancelled because of low turn-outs. To stay – There are hotels around Police Bazaar which offer decent stay and come in all budgets. For some colonial experience, try hotel Pinewood near the Ward’s Lake. To eat – Be ready for new dishes to try in Shillong and you won’t regret yourself. Otherwise Chinese is quite popular here. Shillong Café, Tango Bar, Cloud 9 are all great places to try. Try Dilli Mishthan Bhandar especially for its jalebi and dilli chat. At a comfortable walking distance from Police Bazaar is Bara Bazaar, where you can try some great momos and authentic khasi food, which you usually get in a ‘hole in the wall’ sort restaurants or in some homes that have turned the outer living room into a small restro. Don’t hesitate and try khasi food that will just bring you closer to the land. Also do try ‘cha’ (tea) in any such place. Khasis are great tea makers and serve in the cleanest of cups you would have seen. They call it ‘jinbam’ and serve it with snacks, a nice thing for a wet day or when you have walked a long walk in the city. Khasis make the best tea laden with spices and herbs. 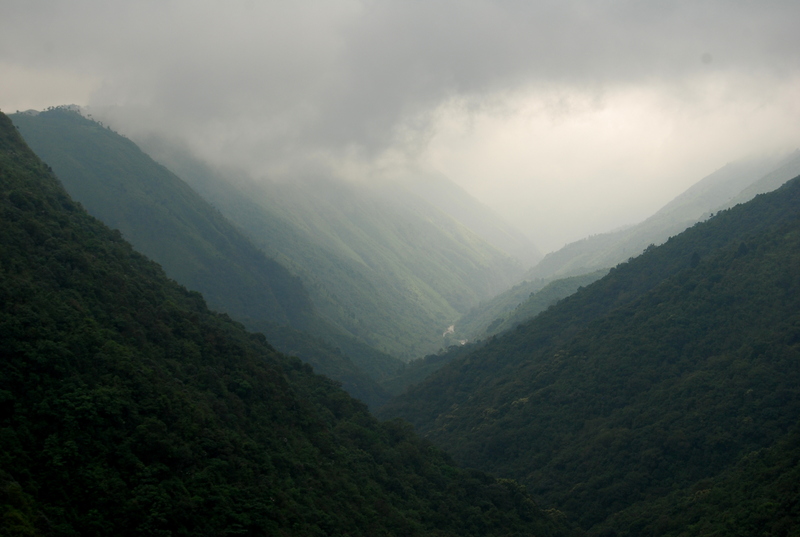 Around Shillong – Plan 7 days for Meghalaya, of which dedicate 2 days to Shillong. 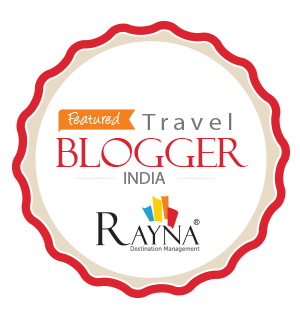 On the other five days, cover Cherrapunji, Tura (another hill town in Meghalaya from where one can go to Nebrak forest reserve for trekking), Mawylynnong (cleanest village in Asia) and Mawsyngram (wettest place on earth). More to do – Shop some ethnic Khasi material and newly arrived clothing in Shillong. Police Bazaar is a place for fashion lovers. A local in a typical khasi dress.